meats, fruits, veggies, or farm products? We help you with direct marketing. Adding value and selling to direct markets are important means of growing revenue for farms and food producers. Pam can help to develop and promote CSA programs, point of sale materials, product packaging, educational programs, and special events to help you increase revenue, raise brand awareness, and build brand loyalty. As former director of public relations and special events for New England Culinary Institute, Pam worked to co-found the now nationally-recognized Vermont Fresh Network, with the goal of fostering connections between chefs and farmers. While managing communications for the Vermont Land Trust Pam worked to promote the conservation of farm and forestland throughout the state. It was a logical next step to follow her passion and establish her own communications business (in 2000) with a focus on food, farms, lodging, and tourism. Are You Ready to Grow Your Farm Business? 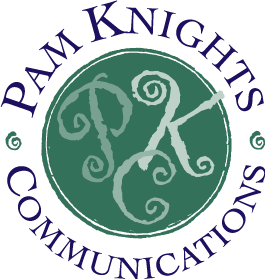 Contact Pam to explore your options.